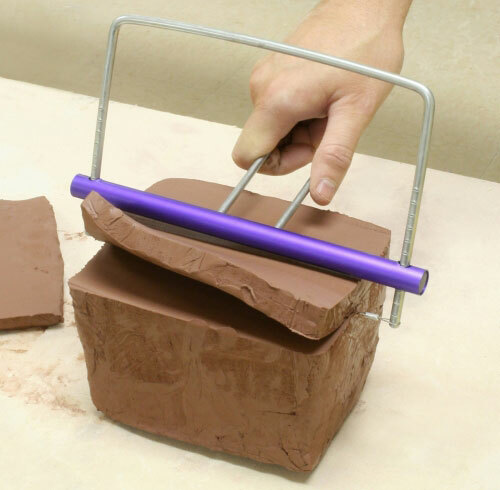 Description Easily cut across a block of clay up to 7" wide with this sturdy hand-held clay slicer. Use it to cut slabs, tiles, and extrusions evenly and in one motion. 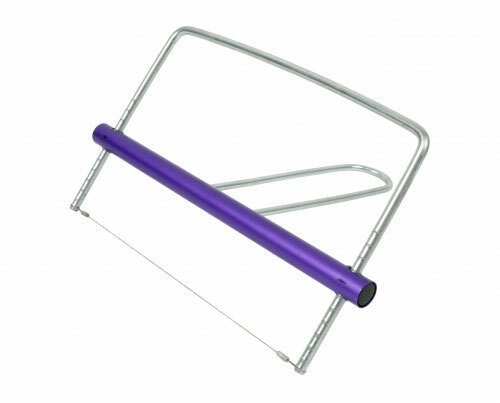 Simply move the purple guide bar to desired thickness and pull through the clay. Heavy duty stainless steel wire is secured firmly to each side to ensure accurate cuts unlike flimsy clay cutters with wooden handles. Guide bar adjusts to cut clay from 3/16" to 3 1/8" thick in 1/4" increments.